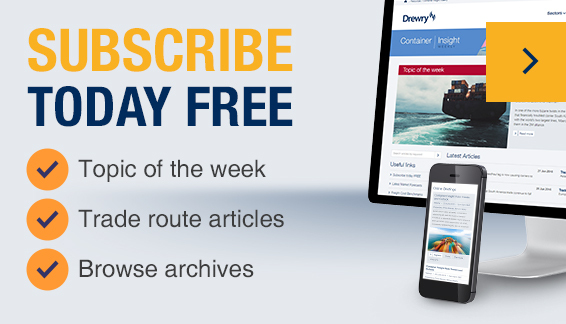 Drewry - Maritime Research Opinions - Are chemical tankers ready to meet forthcoming IMO fuel regulations? Are chemical tankers ready to meet forthcoming IMO fuel regulations? The impending IMO fuel deadline is creating a dilemma for chemical tanker owners―should they install scrubbers or replace high sulphur fuel (HSFO) by burning cleaner fuels, such as low sulphur fuel oil (LSFO), LPG or LNG? Space is often limited on a small chemical tanker, so fitting a scrubber is not always an option. And even where space is available, the high capex of $1.5-2.0 million per ship for retrofitting is proving to be a further obstacle. Current statistics reveal that only 21 chemical tankers in the current fleet have scrubbers installed, while an additional 76 vessels are pending installation as of 1 January 2019. In effect, at the start of 2019, almost 98% of the existing chemical fleet is facing the prospect of having to use high-cost cleaner fuels when the regulation comes into force in 2020. There is no doubt that between now and the deadline, some further retrofitting of scrubbers will take place. Yet, at best, it can only be small scale, and we think most chemical tankers will be forced to burn cleaner, but higher cost fuels when the IMO regulation comes into force in 2020. This raises the question of whether owners will be able to pass on higher costs to charterers. Given the current dynamics of the sector as a whole, this must be in doubt, and we think profitability in chemical shipping will continue to be squeezed in 2020.